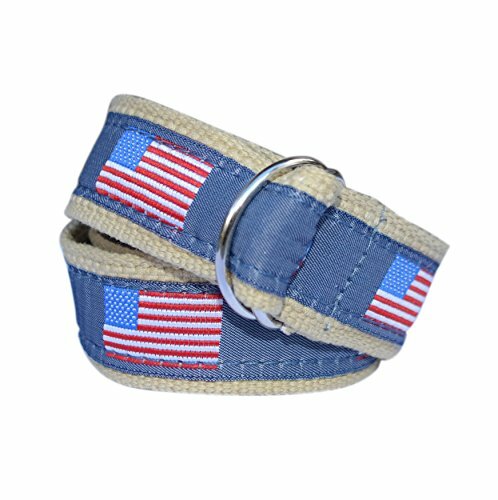 Bean Belts Children's Belts, "The Noah" features a light denim color ribbon with a classic American flag pattern on a kahki color webbing. If you have been searching for adorable belts for kids these are it! This classic kids belt completes any outfit! If you have any questions about this product by Bean Belts, contact us by completing and submitting the form below. If you are looking for a specif part number, please include it with your message.